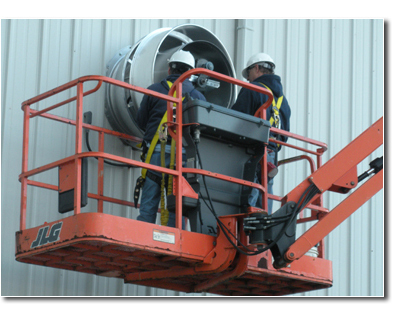 A.A. Duckett, Inc. constantly strives for the highest safety standards in all our operations. Safety does not occur by chance; it is the direct result of careful attention to all company operations by those who are directly and indirectly involved. Employees at all levels work diligently to execute the company’s policy of maintaining safety and occupational health. Our Safety Program has been developed to assure compliance with Federal, State, and Local regulations with particular emphasis on the Occupational Safety and Health Act of 1970 (OSHA), and the OSHA and EPA requirements that apply to our operations. Our employees are knowledgeable of the standards established by these agencies and implement the rules and regulations contained therein on the projects under their direction. Our Safety Committee is chaired by our full time Safety Director and has been certified by the State of Pennsylvania since 2005. All members of the committee are trained yearly in accident investigation, hazard inspection, and safety committee operations. It meets monthly and its membership is made up of an equal number of management and field personnel to review safety concerns of the employer, the employees, and the client. It performs accident investigations and hazard assessments and conducts follow-up evaluations of newly implemented safety initiatives and equipment. Sites are regularly inspected by our Safety Director to ensure that compliance of all safety regulations is maintained. Our training program consists of a full first day of safety orientation for all newly hired employees followed by weekly tool box meetings, monthly safety meetings, and periodic bulletins and newsletters. The objective of the Company Safety Program is to reduce the probability of injury or property loss from foreseeable causes. By achieving this objective, the Company protects our employees, our customers, and the public, and also benefits by reducing the needless losses caused by decreased efficiency, work interruptions, or equipment / property damage.